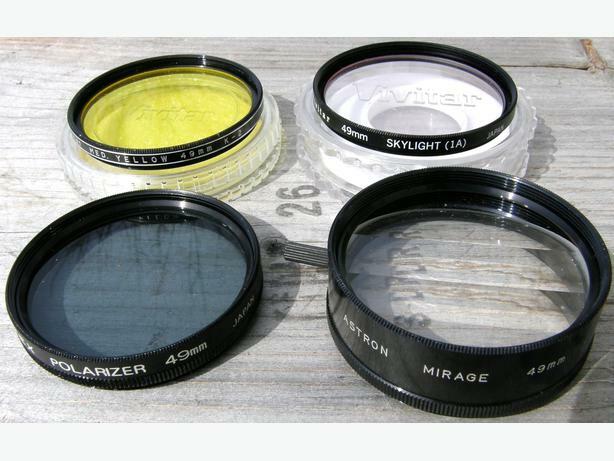 CAMERA LENS FILTERS FOR SALE. I have numerous filters in different sizes for your camera. You can use to either protect your expensive lens or use for enhancing photos. I have sizes in 37mm, 46mm, 49mm, 52mm 55mm, 62mm and others as well. Some filters that I have are skylight, UV, polarizer, center spot, multi image, close up, orange, yellow, red, blue, diffuser, and others as well. I also have a number of COKIN filters. $10 each or can make a package deal. I also have a number of step up or step down adapters.